Product prices and availability are accurate as of 2019-04-25 17:49:29 UTC and are subject to change. Any price and availability information displayed on http://www.amazon.com/ at the time of purchase will apply to the purchase of this product. 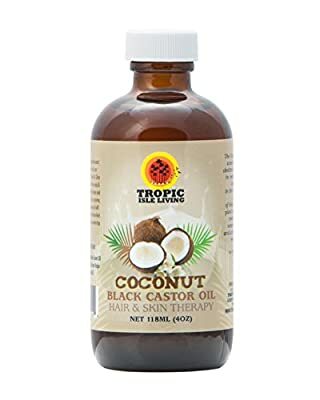 Tropic Living Jamaican Coconut Black Castor Oil. 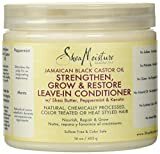 This combination of pure organic Jamaican Coconut oil and Jamaican Black Castor Oil provide the same hair and scalp benefits of pure Black Castor Oil. 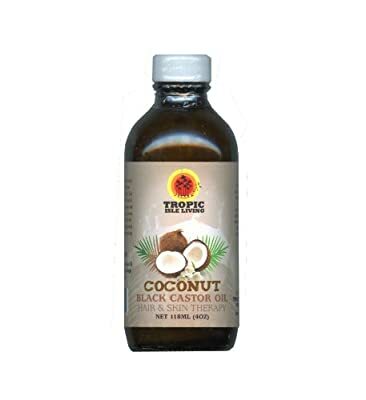 It may be used as a hot oil treatment or hair grease for various hair problems such as dry damaged hair, hair growth, thinning hair, split ends. Excellent skin moisturizer and helpful for eczema, dry damaged skin, dermatitis etc. Absorbs and penetrates into the scalp and skin easily. 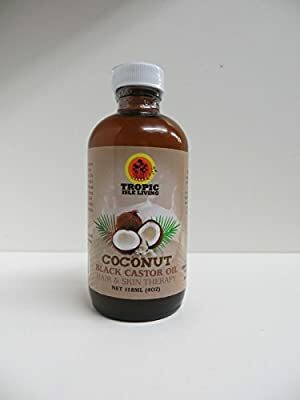 It has a pleasant coconut scent and is an excellent massage oil for aches and pain including arthritis and joint stiffness. In the tropics, the coconut tree is the closest thing to the tree of life. This miraculous tree provides shelter, medicine and food. The oil in particular is used for cooking, medicine, cosmetics and hair care. In the old days it was a common occurrence to see people making their own freshly made homemade coconut oil. Apply to hair (like grease) for moisturizing effect. Massage into scalp for healthy hair, hair growth and scalp nourishment. 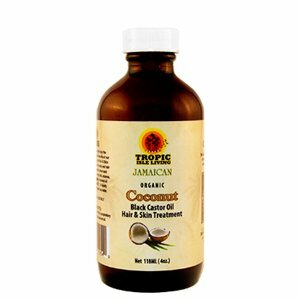 Apply to scalp 2-3 times a week or as needed for moisture. Hot Oil Treatment: Warm 3Tblsp. 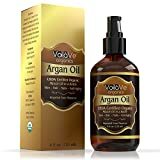 of the castor oil and massage into hair then put on heating cap for a half hour OR massage castor oil into hair, put on heating cap and sit under dryer for 10min. This should be done once a week. For The Skin: Massage into skin to moisturize dry skin. For Aches and Pains: Warm and massage into areas of discomfort. Tip: For dry, permed, and colored hair add 3Tblsp. To a deep conditioner to add and seal in moisture and apply once a week.